Thanks so much for using WorldCosplay. 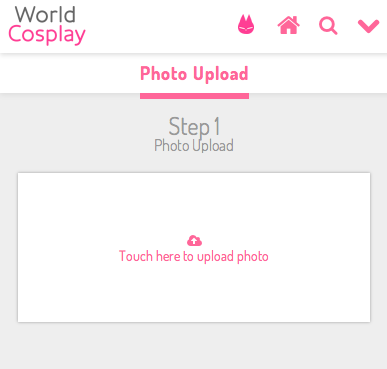 We’ve now released a function that allows cosplay photo upload on WorldCosplay’s mobile website. Now you can upload your latest cosplay photos from your phone without logging into WorldCosplay on a computer. 2. 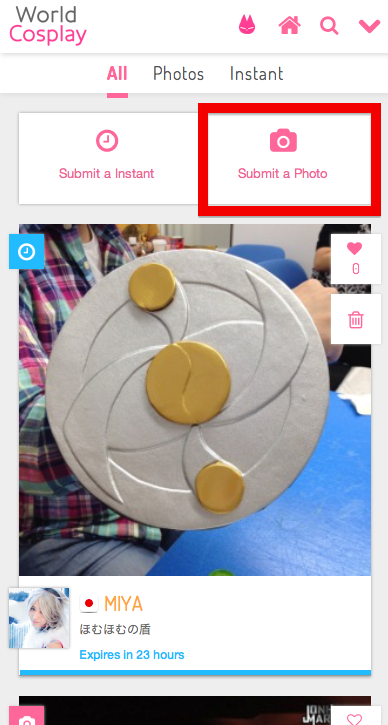 Touch to select a photo to upload from your album. 3. If your upload was successful, you’ll see your photo displayed. Designate your character’s name and series. You can also upload your photo to Facebook or Twitter at the same time. 4. Tap Submit to upload your photo. If you see “Success! !” then your photo has been successfully uploaded. 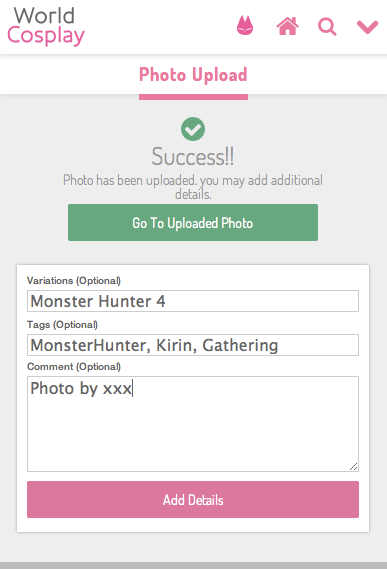 You can now specify if your cosplay was a variation, add tags, or a comment. We’re always supporting your cosplay endeavors here at WorldCosplay!